The 2018 MacBook Pro has two new GPUs, and we're pissed. 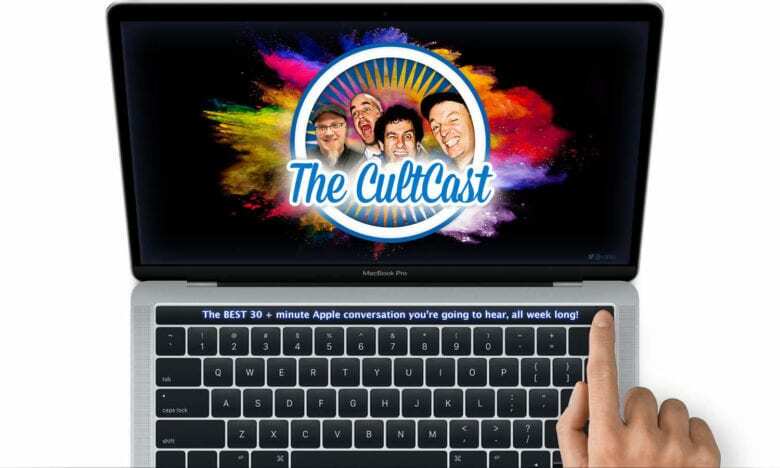 This week on The CultCast: You need to be prepared if you want to lock down the best prices on the best gadgets this Black Friday. We’ll tell you the strategies to use to grab all the good deals most shoppers miss. Plus: The new MacBook Pro GPUs are a huge upgrade, but we’re pissed. (We’ll explain.) Also: Why Apple’s stock has fallen off a cliff. And we’ll wrap up with a Steve Jobs story so mundane, the internet has become fascinated with it. Apple’s done it. A mere 4 months, almost to the day. The 15-inch MacBook Pro got a big performance boost this morning with the new option to add Radeon Pro Vega graphics to the top-of-the-line model. New Radeon Pro Vega graphics cards with up to 60% faster performance in GPU intensive tasks, like VIDEO EDITING, are now available as new options. The Vega 16 is only a $250 upgrade. Vega 20 is a $350 upgrade. Apple quietly mentioned the update after its October 30th event where it revealed the new MacBook Air and iPad Pro. I’m attempting to get Apple take back my machine and let me pay to upgrade to the new one. I think everyone who’s purchased a 2018 MBP should have the same option. Ming-Chi Kuo just lowered his estimates for the number of iPhone XR units that will sell over the next year. That’s a real turnaround, as this analyst had previously been bullish on Apple’s latest handset. Kuo is worried the growing trade war between China and the US could affect sales. But he also says the price is still too high for a non-flagship phone. Galaxy S9 with 64GB is like $30 cheaper. Whatever it is, Apple’s stock has TANKED. In the last 3 weeks, Apple’s stock has dropped $45 a share, from 232 to 187. That a drop of 19%! in 2016, someone on the website Quora asked a question about Steve Jobs, and the person who answered was someone he wasn’t expecting, and the mundane fact he shared is still being upvoted to this very day. Brett Bilbrey, who joined Apple in 2002 and retired in 2014 as its head of technology, responded. Steve Jobs, it turns out, used to wait in the lunch line just like everybody else. “he would often ask me to hold his place while he went to check other food stations,” Bilbrey wrote. “Once when this happened, another employee got in line behind me, and I turned around and told him, ‘Just so you know, I’m saving that spot for Steve.’ He laughed and thought I was kidding. ‘Yeah, right. Like Steve is going to show up and cut in line.’ While he was saying that, Steve had returned and was behind him, and heard his comment. Steve said, ‘I’m not going to cut in, he was holding my spot for me.’ The guy turned around and saw Steve, and the employee’s face actually turned white, and he started shaking. Instead of just making room for Steve, he kind of just slinked away.